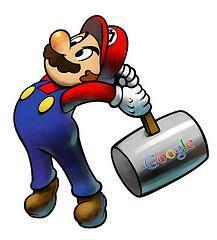 Home > Google News > Google Updates > Google Update Underway? Farmer/Panda Hits Again? There is a WebmasterWorld thread with reports from some webmasters that they are seeing massive changes to the Google search results. Typically posts like this mean that some are seeing test or early results on one of the many Google data centers. Sometimes that means that it is an early sign of a Google update. Some are wondering if it means that this is the much anticipated update to the Farmer / Panda update that has plagued so many webmasters in the past month or so. The thing is, I do not see any updates from those impacted, in those original threads, discussing being released, so maybe this is just hot air? I am not sure but time will tell. I noticed today a big change in the sites listed for keywords (some are junk sites) and my organic clicks from google has dropped about 80-90%. I am no longer appearing from many terms. It appears that this hit sometime today. A site of mine took a huge hit yesterday (April 6) too. It had the #3 position for [best widget] at the beginning of the day. Sometime before the day was over, traffic fell off a cliff, and I discovered that that the site dropped to page 13 for [best widget]. I have noticed very recently last few days sites that have been in top three for money terms for a few years getting pushed way down. They said they are going to be "fine tuning" Panda so this could be what I am seeing, this could be your issue as well. Like I said, I haven't seen mass reports of sites being released but now I am seeing mass reports of webmasters complaining that their sites were hit hard by Google a day or so ago. Is this an Farmer/Panda update? If so, I don't think this is what most webmasters expected. Previous story: How Does Google Instant Suggest Results?